Mupirocin calcium eqUNalent to 2% wlw mu~rocin free acid. white cream 0f homogeneous appearance. three times a day for up to 10 days, deperdi1g 0n the response. Patients not showing a clinical response within 3 to 5 days should be re evaluated. Heparic impairment No d0sage adjustment is necessary. Renal impairment No d0sage adjustment is necessary. A thin layer 0f cream should be applied to the affeaed area with a piece 0f clean Cotton wool or gauze swab. The treated area may be Covered by a dressing. 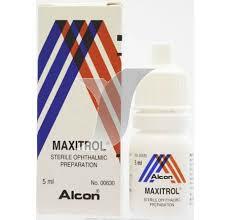 Do not mix with other preparations as there is a risk 0f dilution, resulting in a reduction in the antilacterial activity and potential loss of stability of the mupirocin in the cream. For intranasal use, a separate presentation, Bactroban Nasal Ointment, is available. Avoid contact with the eyes In the rare event of a possible sensitisation reaction or severe local mtation occurring v.ith the use of Bactroban CREAM, treatment should be discootinued, the product shoud be washed off and awopriate anemJtM> therapy for the infeaion instiMed. As v.ith othe< antibacterial productl, prolonged use may resun in overgn:r.Yth of norKUSCeptible organilms. Bactroban Cream has not been studied in infants under 1 yeare old and therefore it shoud not be used in these until hrther data bealme available. 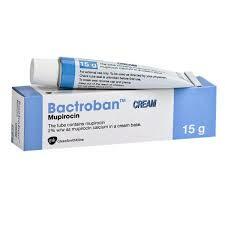 Bactroban Cream contains cetly alcohol and steary alcohol These illil<tM! ingredieflt5 may cause local skin reaaions (e.g. cootact dermatitisl. No <lug ilteraaions haw! been identified. Adequate Iunan data on use during pregnancy are not avaliable, animal studies have not identified any risk to pregency or embryo foetal development Mupirocin shoud only be used in pregenancy when the poIfntiii benefits outweigh the potential risks associated with treatment. No adverse on the ability to drive or operate machinery haw! been identified. Mupirocin is a novel antibiotic produced throogh fermentation by pseudomonas fluorescens mupirocin inhibits isoleucyl transfer·RNA synthetase, thereby arresting bacterial protein synthesis. due to this particular mode of action and its unique chemical structure, Mupirocin does not shaw any cross-resistance with other clinically available antibiotics. Systemic absorption of Mupirocin through intact human skin is low although it may occur through broken diseased skin however clinical trials have shown that when given systemically it is metabolised to the microbiologically inactive metabolite monic acid and rapidIy excreted by the kidney. No further information of relevance. squeezable aluminium tubes with ascrew cap containing 15 g.
any product remaining at the end of treatment should be discarded. ‘Member of the GIaxosmithKline group of companies.